Going into Romeo and Juliet by Broken Quill Theatre last night I was more than a little intrigued. I’d heard it included live emo rock music, something that’s not often paired with Shakespeare, though it turned out to be a perfect accompaniment to an angsty teenage tragedy played out on stage. Set in the beautiful lake surrounds of The Pumphouse Theatre in Takapuna, we piled in to watch show starring a talented cast from age 14 to 30s. As the show opened I was pretty blown away by a contemporary dance sequence fueled by immense strength from the impassioned dancers. The band and singers performed a few excellent numbers from my teenage days that brought back memories of the clothes we wore, the relationship dramas we had, the bands we listened to and the general emoness we absorbed. 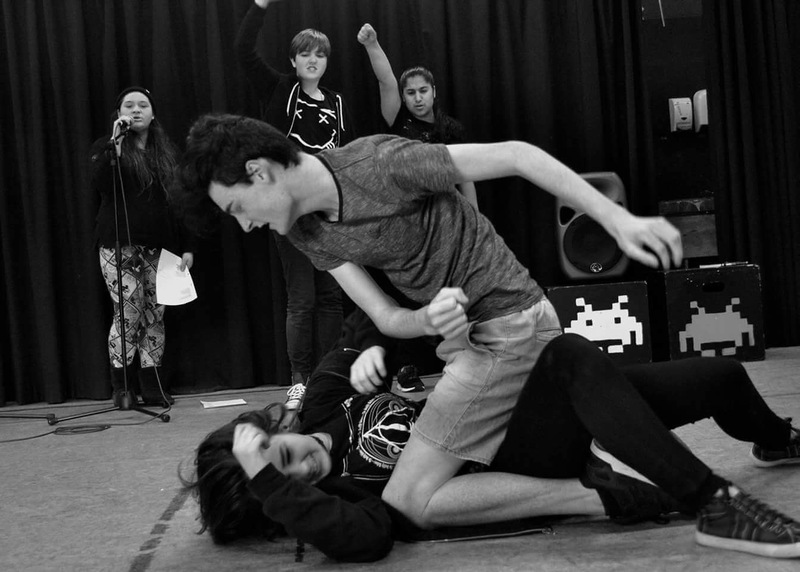 The actors were multi talented – singing, acting and performing some very well choreographed stage fighting. It must have been rehearsed very well! This isn’t your traditional Romeo and Juliet, nor is it a complete departure. I was enthralled the entire show and very impressed by the talented young people who put it together. It’s got a rock band, it’s got guns, it’s got red and black threads, some belt-out singing and standout performances by the nanny and R+J themselves. If you were a MCR fan, this is your Romeo and Juliet!